For 15 years, David Blackburn has been working as a metalworker by day and a welder by night and at the weekend. 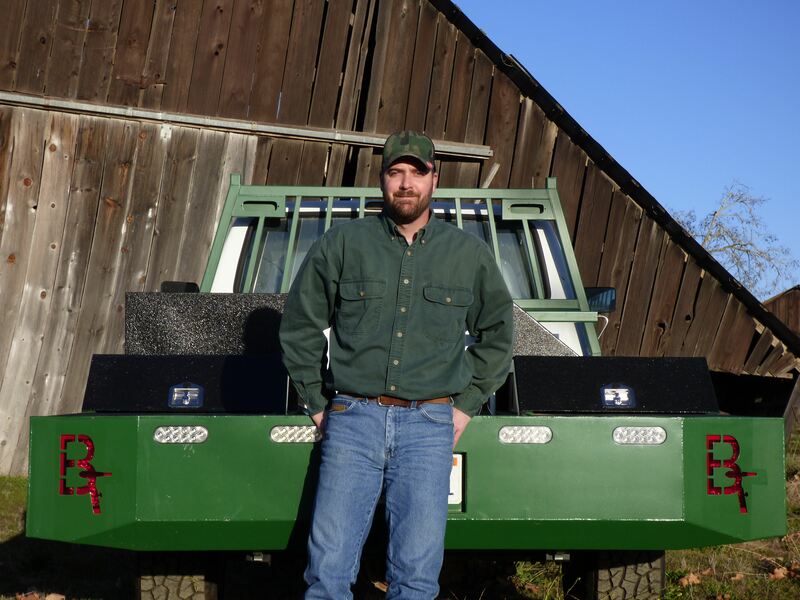 With his one-man business Blackburn Fabrication, he repairs everything from exhaust manifolds for aircraft to fencing on farms and produces customized signs, bumpers, and welding equipment. Reliable and versatile Fronius power sources for manual welding help keep his customers happy, whatever the job. David Blackburn began welding at an early age in his family’s garage. He progressed from electrode welding to MIG and TIG welding and saved his friends money by taking on simple projects and repairs. One day, his housemates suggested he contact the airport where they worked. There was a lot of welding work to be done there, which gave David a regular source of income. He started with small, private, and experimental aircraft, which required the welding of aluminum and stainless steel. He enjoyed the work so much that he became certified by American aviation authority FAA. David worked on aircraft for six years. David is now planning to set up his own welding shop. His current focus, however, is on mobile welding. As such, he is in the process of integrating a platform he has designed himself as well as special toolboxes, mounts, and compartments for equipment into his truck. 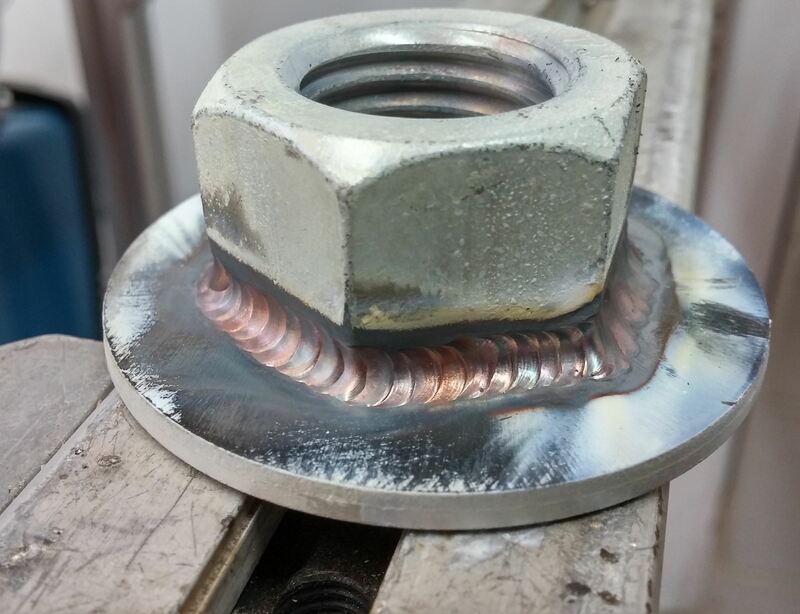 “Welding work on site presents its own challenges”, he explains. “While working at the airport, I learned that it is not always possible to move a welding machine mounted on a vehicle close enough to an aircraft. This requires longer lines, which can result in an unstable arc. 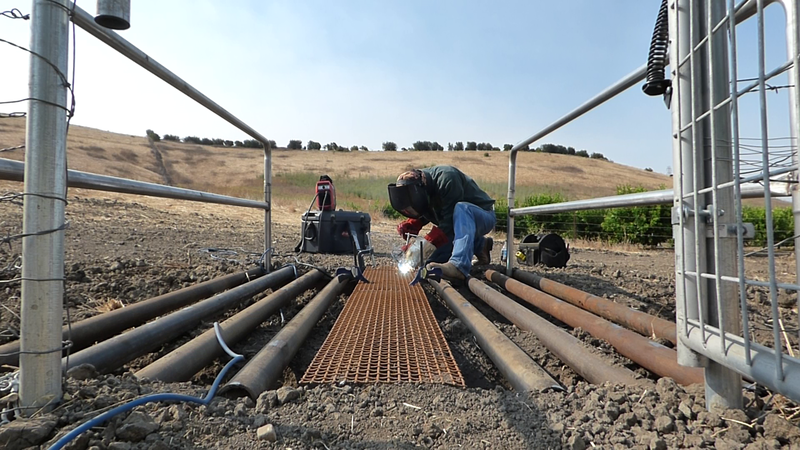 Most welding machines also require a high voltage, which is not available in most buildings.” This led David to search for new solutions, one of which is the mobile welding unit that he is currently building. The other led him to Fronius. “I first saw the Fronius welding systems at FABTECH 2016 in Las Vegas”, recalls David. After learning more about the reliable welding systems for mobile use from the Austrian manufacturer, he arranged to be given a demonstration at the local subsidiary. 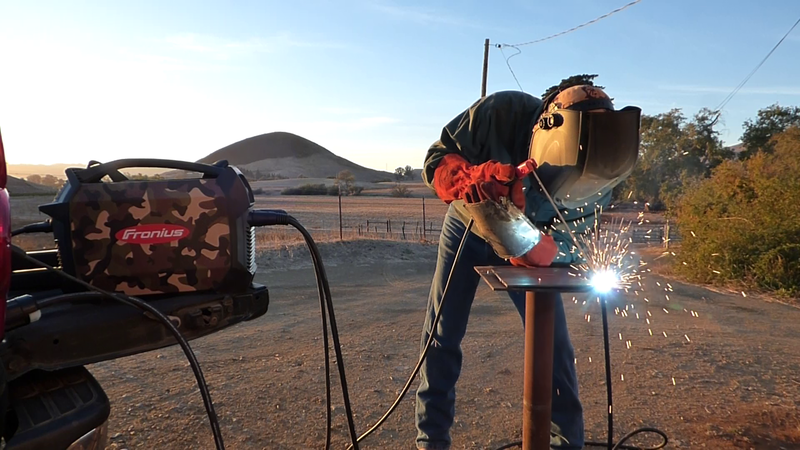 “I was looking for a multiprocess system that would meet all of my requirements, including the ability to weld 6010 electrodes.” Together with the experts at the Fronius site in California, he tried out various welding systems and finally opted for the TransPocket 180. The portable, single-phase electrode welding system is the first in the Fronius portfolio with a welding current range of up to 180 amperes. One of the real innovations is the digital resonance inverter. This enables virtually flawless output characteristics and, due to the continuous availability of power reserves, ensures the most stable arc possible with reduced energy consumption. This ensures outstanding ignition and weld properties that are evident in the welding process, primarily because the electrode ignition is optimized and spattering is minimized. Another highlight is the PFC (power factor correction) technology. The automatic power factor correction models the input current in such a way that it has a virtually perfect sinusoidal wave. This minimizes the reactive power and makes optimum and effective use of the mains current. Furthermore, the Fronius technology ensures greater stability in the event of voltage fluctuations. With a tolerance of -20%/+15%, the welding systems are extremely well suited for generator-powered operation and supply maximum power even in the event of large fluctuations in the grid voltage. The TransPocket can be operated with a voltage of 110 V. In addition, long mains leads with a length of 100 meters or more can be used without problems. 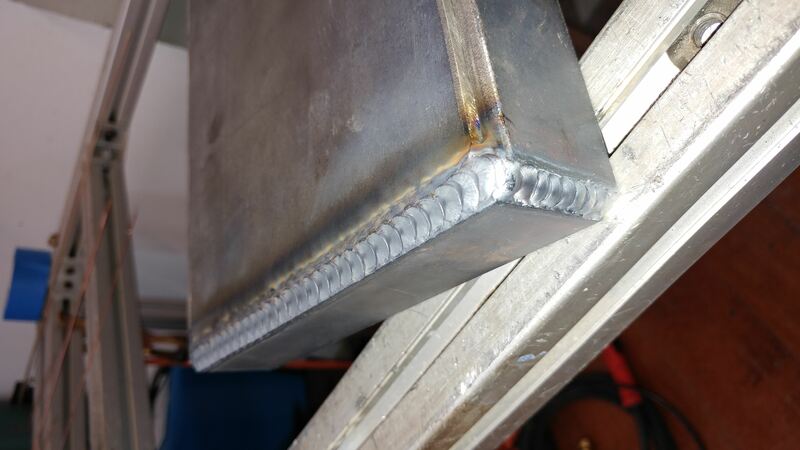 “This gives me a greater operating radius and more flexibility when welding”, explains David. When David opens his welding shop, he plans not only to take on large projects, but also to offer custom-welded trailers, bumpers, and mounts. The trend towards increasing individualization means he also needs to buy more equipment in order to work as efficiently as possible. The new MagicWave 230i, which Fronius recently brought onto the market, is one of the items on his wish list. It is the first power source from the Austrian technology leader that can communicate with other devices using Bluetooth, WLAN, and NFC technology and be networked with them. “It allows me to control the welding system from my smartphone”, says David enthusiastically. “That’s something that no-one else is currently offering.” The USB ports also make it easy for users to carry out software updates and document welding data. Fronius has also done a lot with the hardware for the MagicWave 230i: the intelligent high-frequency (HF) ignition guarantees perfect ignition properties and the systems are extremely energy-efficient thanks to the innovative PFC technology. They also feature an improved, compact cooling unit, which prolongs their service life. The MagicWave 230i is available as a multivoltage version. The Fronius Power Plug, a watertight, lockable connector on the back of the power source, enables the mains cable or plug (depending on the place of use) to be replaced quickly and easily. “This gives me maximum flexibility, even at different mains voltages”, explains David.